STIL 5 offers an inspired functional modern design with a space-conscious layout perfect for urban environments and indoor use. 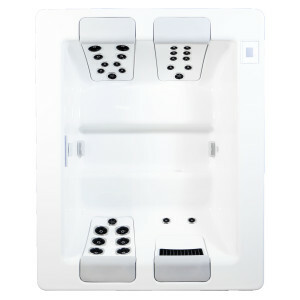 With a smartly engineered angle of recline and an open concept that allows for a variety of relaxation positions you’ll immediately recognize that STIL5 is much more thoughtfully designed than any other compact spa on the market. Whether enjoying solo or with a special someone, you’ll love the option to select the three bio-engineered JetPak massages of your choice. There is simply no other spa that compares to STIL™.